While planning your vacation this summer, plan a trip to California. Cathy Isom tells us a bit about a one-of-a-kind way to celebrate and also educate yourself about a popular green fruit. That’s coming up on This Land of Ours. A museum dedicated to the Avocado is popping up in San Diego, California this summer. The 67-hundred square foot shrine is being is being built from 16 shipping containers. 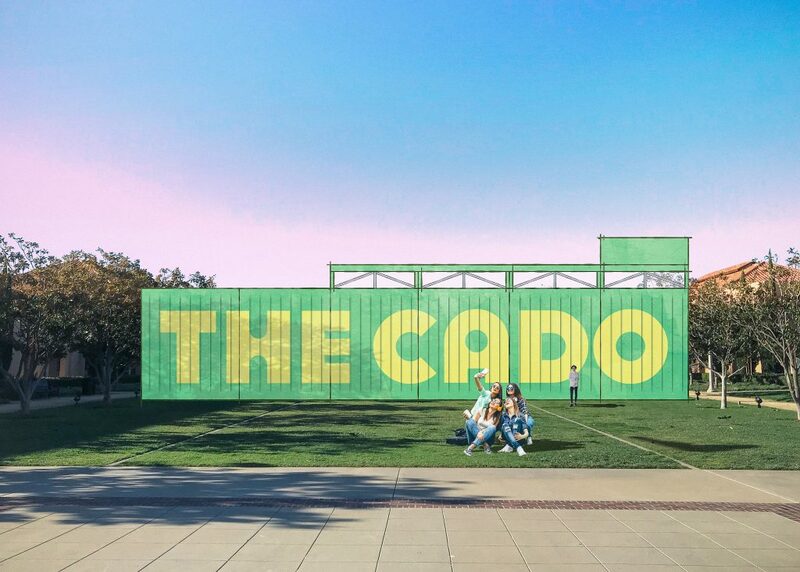 Cleverly named “The CADO,” it will feature 7 different rooms, each with different large-scale multi-sensory experiences. It will have a bit of an old-school feel when you first arrive. Walkmans will be passed out when you enter, so you can listen to the tale of how avocados go from grove to grocer. One area, The Ripe Room, will have textured stalls that will show you what a perfectly ripe avocado feels like. Another is a 100 foot-long ombre hallway, inspired by the light to dark flesh of an avocado. Save a selfie for the room dedicated to the fruit’s beauty benefits. It is designed to look like a powder room. Check out California Avocado Commission for more information. Tickets for The CADO now on sale. Make sure you get one now. Image credit: Permission for use granted by Anne Buehner, The CADO. The image is a representation of what The CADO will look like. We were inspired by California Avocados and all the stories to tell about them, from food uses and nutrition to the growing process and the growers. Make sure to visit The CADO on Facebook.